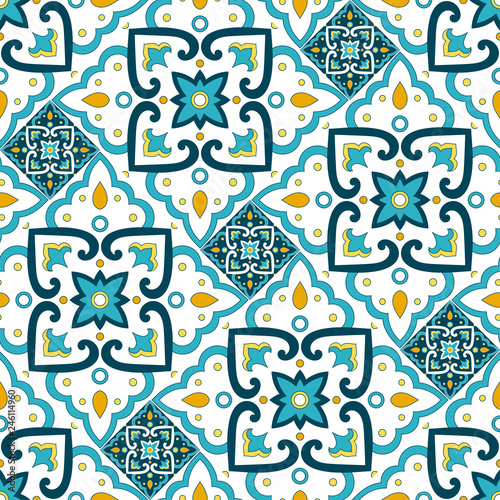 Portuguese tile pattern seamless vector with floral ornament motifs. Portugal azulejos, mexican talavera, italian sicily majolica, spanish ceramic. Mosaic texture for kitchen wall or bathroom floor.